Indulge in a journey of discovery with this 11-day tour between Budapest and Prague. 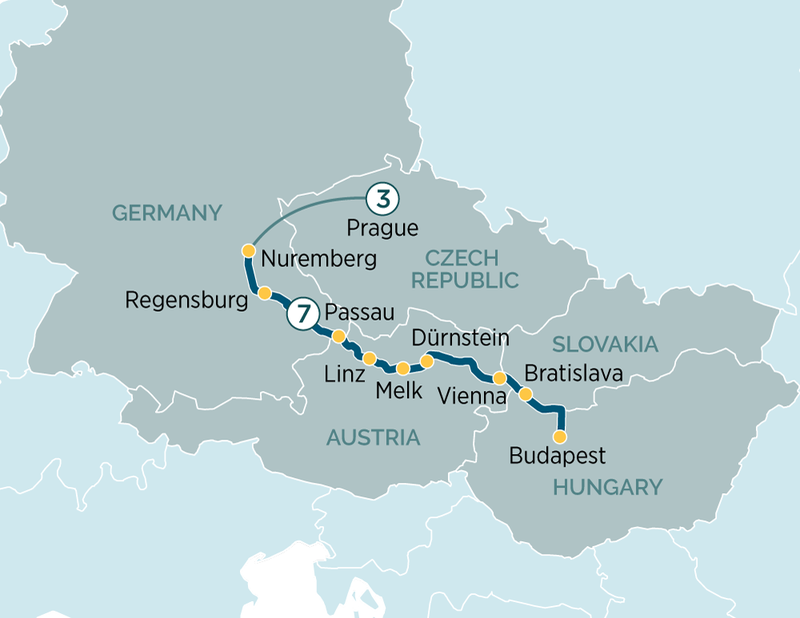 Featuring an 8-day Danube river cruise and a 3-night Prague city break, this promises to be the ultimate European adventure. With no less than four renowned capitals to explore over the course of 11 unforgettable days, as well as a whole host of other immersive destinations, our Classic Prague & Danube Delights tour is the perfect way to encounter more of the wonders of Europe. This exceptional journey takes you from Hungary to the Czech Republic via Slovakia, Austria and Germany, introducing you to the rich, majestic capitals of Budapest, Bratislava, Vienna and Prague, as well as other inimitable destinations like Dürnstein, Melk and Nuremberg — whose culture and heritage make them stand-out stop-offs in their own right. The banks of the Danube also boast regions of peerless natural beauty, including the Wachau Valley wine region and the Austrian Alps, so you can look forward to truly stunning scenery as your Emerald Waterways Star-Ship negotiates the twists and turns of this great river.